Shopfit Design & Management are now a new supplier of Bartuf display solutions, with great offers on all Bartuf Newspaper shelving displays, Bartuf Newspaper Display Stands, Bartuf Newspaper Display Cubes and Bartuf Newspaper racks. 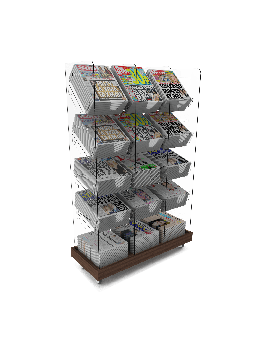 The Bartuf Group are the UK’s leading designers, manufacturers and suppliers of quality newspaper display solutions. Bartuf Systems produce the most innovative off the shelf products built to the highest standards. Shopfit Design & Management provides full project management that complements our design capabilities. Working in partnership and supported by an excellent service. Shopfit Design retail shopfitters offer a full expert fitting service within mainland UK of all Newspaper displays which are purchased direct from our website. 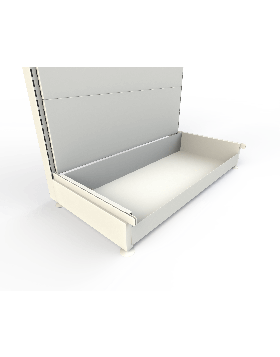 We are confident that we can supply our shop shelving at the best prices within the UK. We can beat any like-for-like on-line price within the UK, please contact our sales team of you find the same product cheaper elsewhere All shelving comes with a 12 month warranty. Take a look at the complete Bartuf shop display collection.